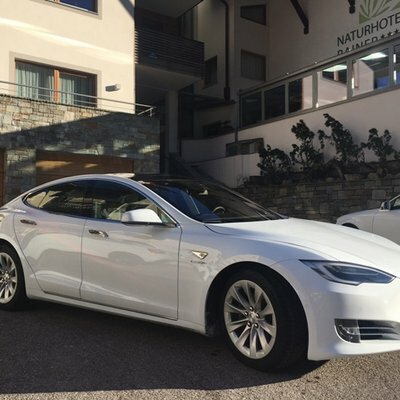 News from our South Tyrolean Pearl Ratschings: From now on you can rent a Tesla Model S at our Alpine Pearls-Affiliated Host, Naturhotel Rainer. The environmentally-friendly electric car is the safest and fastest electric car in history and is equipped with all-wheel drive, autopilot, panoramic roof, LED lights, a 17-inch display and lots of horsepower. With an impressive range of 450 kilometers, it is easy to go on day trips to the surrounding Dolomites. 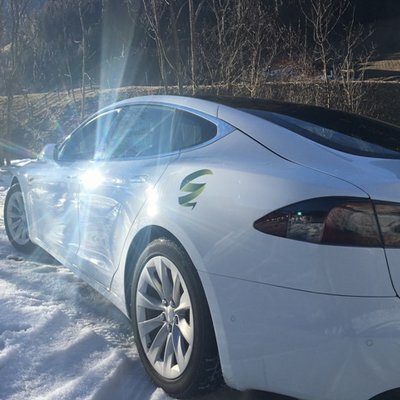 With that offer eco-conscious holidays in the Alps and soft mobility are connected on a very special way and show how the future of sustainable tourism can look like! Book the Tesla Package or give away a ride with the luxury car.